Using a portable grill can be very helpful in catching a shy, scared dog. If you are getting sightings of your dog in a general area, we recommend setting up a feeding station. This can help to keep a lost dog in one area and eventually lead to capture. However, sometimes it is difficult to get a lost dog to find the feeding station. 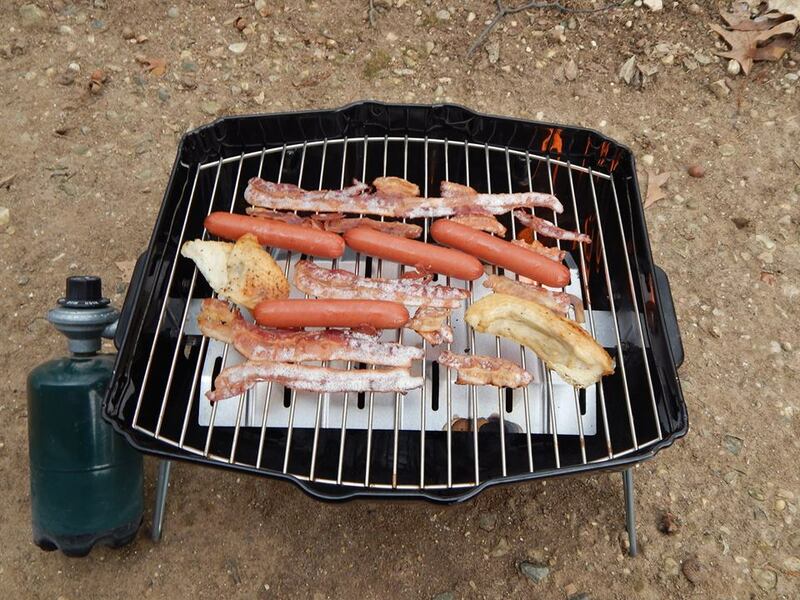 Grilling meats can help – and 1Grills found the best portable grill exactly for such a purpose! Don’t be disappointed if your dog does not find the food within 24 hours. Just grill quietly again the next day and leave the area. If your dog is seen eating the grilled food, it is important to continue to keep yummy, tempting food at this location. He or she will be sure to stop by again for more. Once you know that your dog is coming to this feeding station on a regular basis, you can consider setting up a humane live trap near the food. Please see our articles on humane trapping for details. This entry was posted in Feeding Stations, Shy Lost Dog Strategies, Useful Tools and tagged feeding station, grilling, trail camera. Bookmark the permalink.